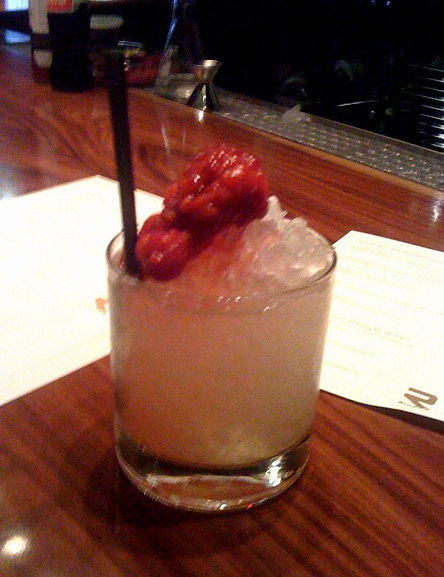 Ah, spring: when a young man’s fancy turns to thoughts of love…and a young mixologist turns to thoughts of a new cocktail menu. Fresh off his Rising Star Mixologist award, Julian Cox has been hard at work creating over a dozen new drinks for Rivera’s spring cocktail menu, debuting tonight. For the launch party, Julian’s new creations will be specially priced at just $6, which should make it easier to make your way through a mouth-watering list that includes the Red Pilot (gin, Aperol, mezcal, maraschino) and the Jugo de Piña (blanco tequila, Thai basil, pineapple, cava float). Myself, I’ll head straight for the Smoked Manhattan, made with rye, Amaro CioCiaro, smoked rosemary, and Angostura.